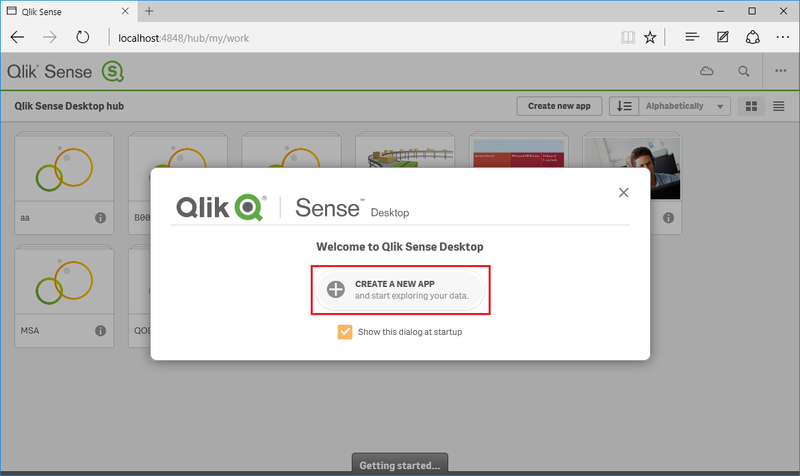 To use QlikSense Desktop with QODBC, Please follow the below steps. 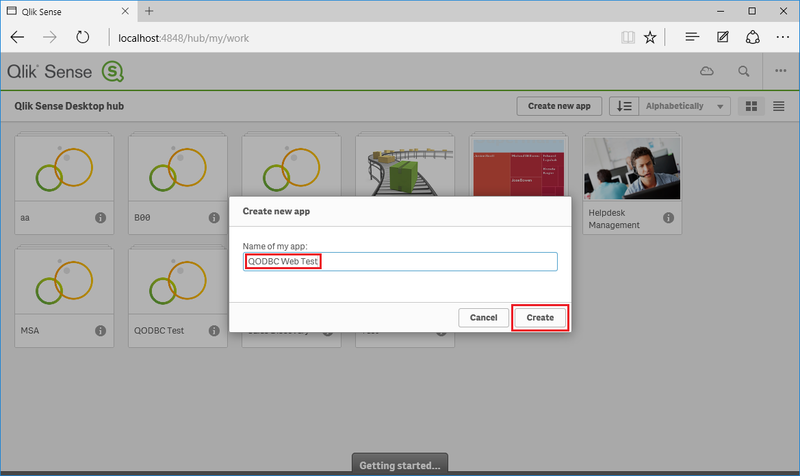 Open QlikSense Desktop in the browser & click on "CREATE A NEW APP" button. 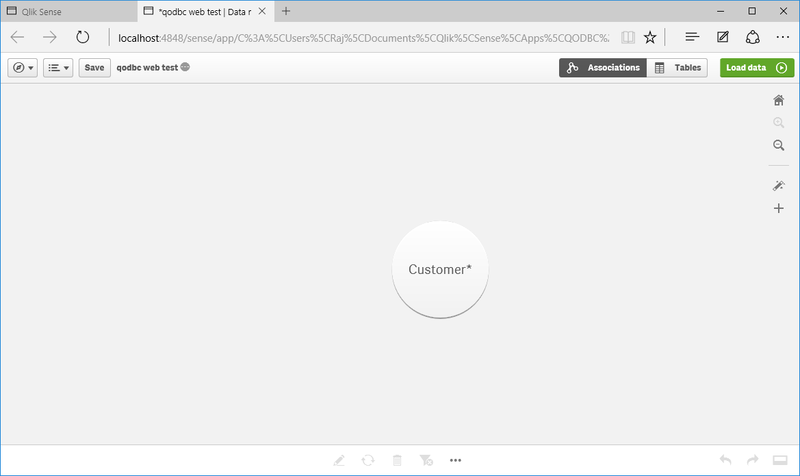 Enter app name and click "Create" button. 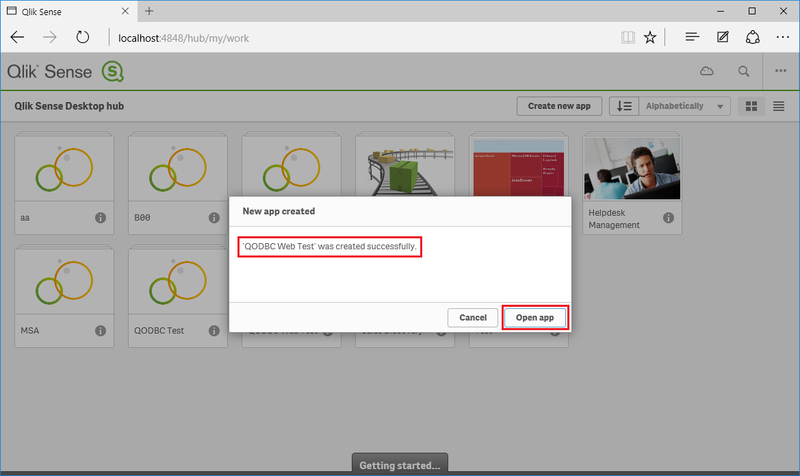 A New application in QlikSense Desktop created successfully. Click "Open app" for the opening application. 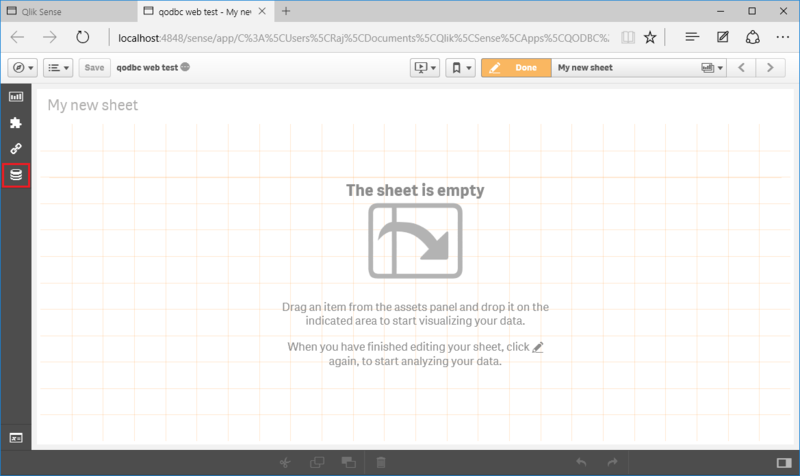 The application has two options adding data "Add Data" & "Data Load editor". 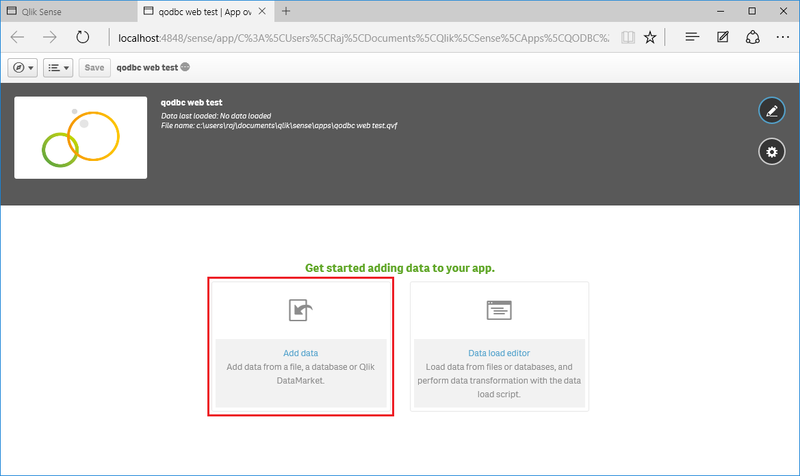 In this example, I am using "Add Data" option. 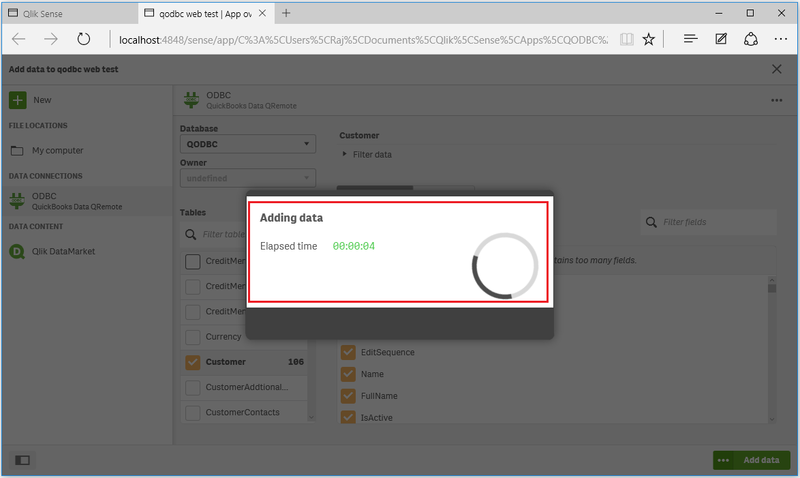 Click on "Add Data" button to adding QuickBooks Data into QlikSense Desktop. QlikSense Desktop will show a list of the data source. 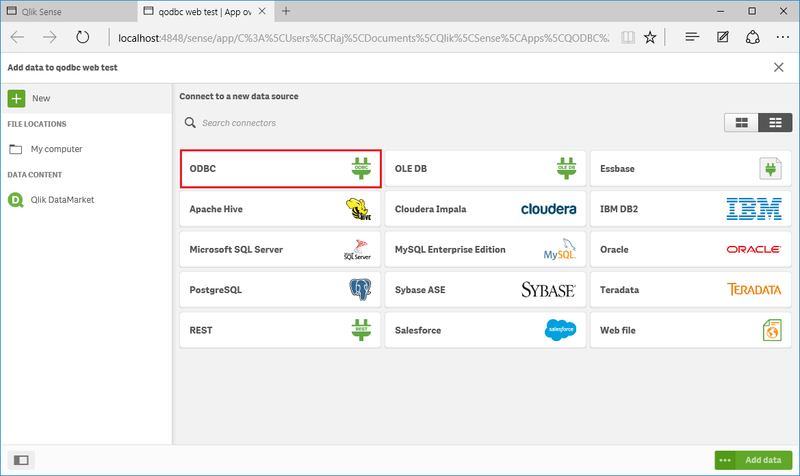 Please select "ODBC" data source. 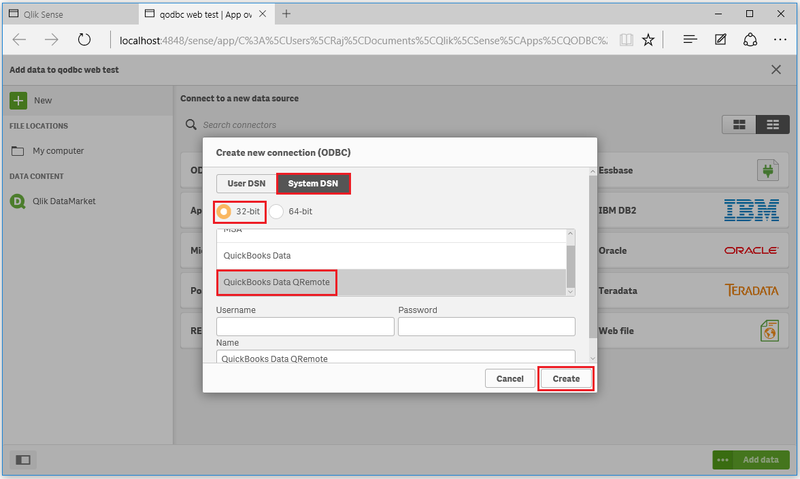 In Create new connection (ODBC) windows select "System DSN" & enable "32-bit" option and select DSN & click on "Create" button. 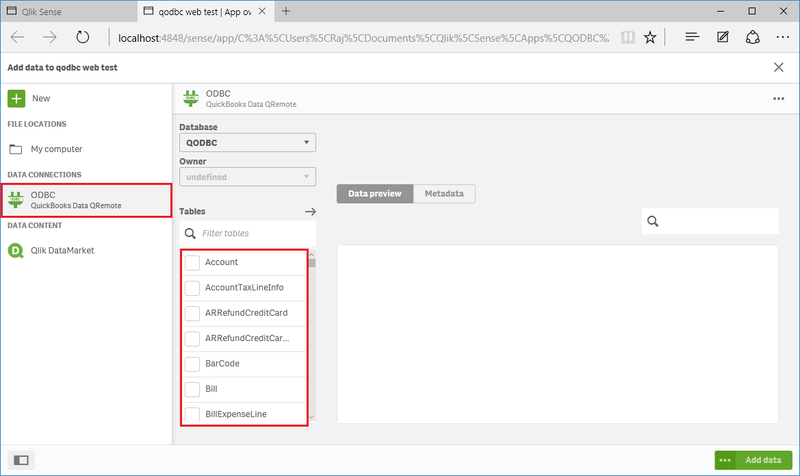 In this example, I am connecting to default DSN "QuickBooks Data QRemote". You can change DSN as per your configuration. The connection made with QuickBooks through QuickBooks Data QRemote DSN & you can see the list of tables windows list of tables available. 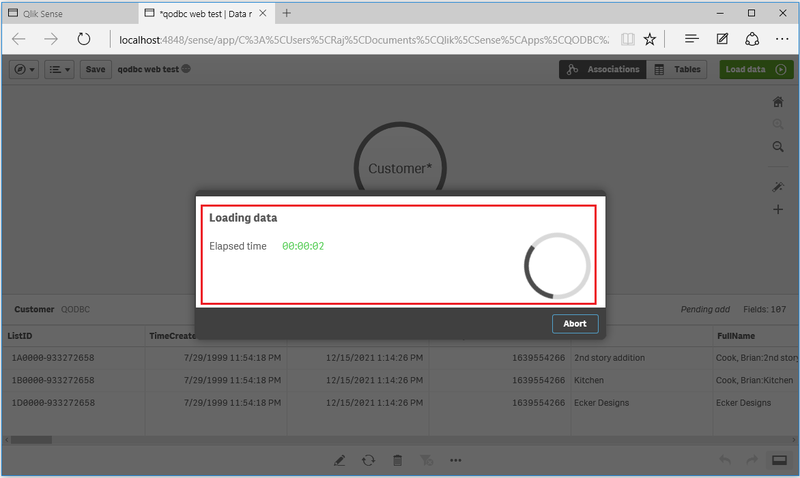 Select the table which you want to add in the QlikSense Desktop & click "Add data" button. In this example, I am selecting Customer table. 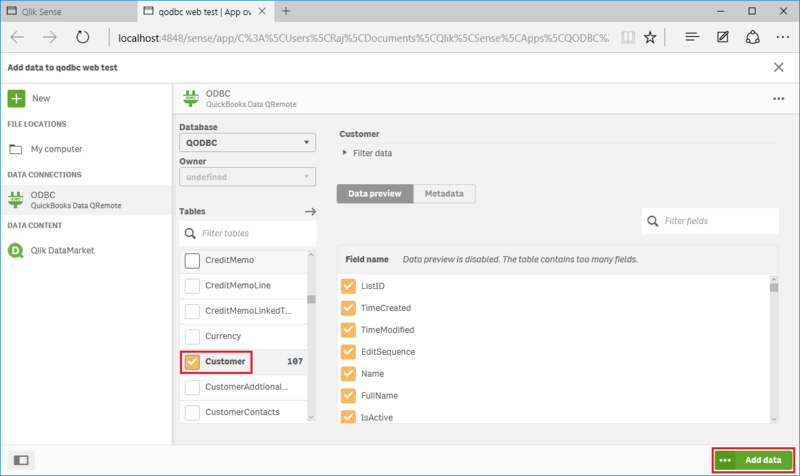 The customer table data is added to the QlikSense Desktop. 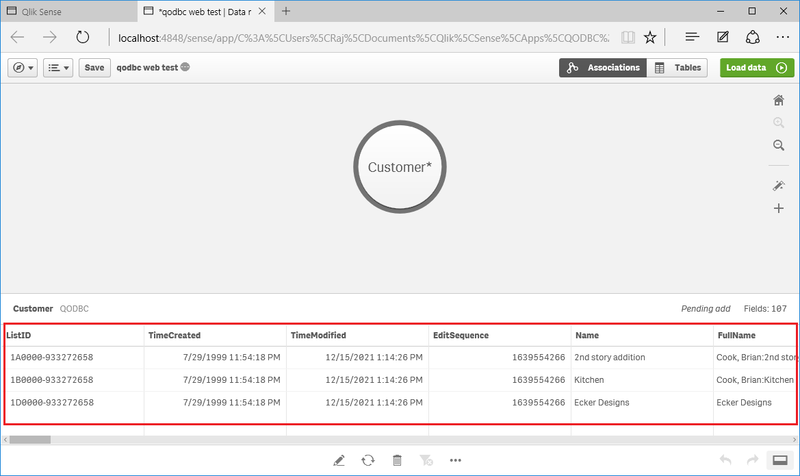 Now, You can perform any operation on table data using QlikSense Desktop. 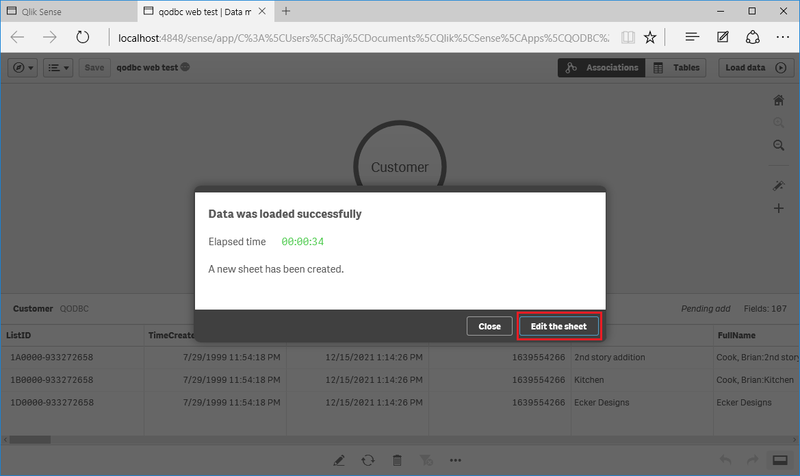 You can view table data by double-clicking "Customer" table icon. 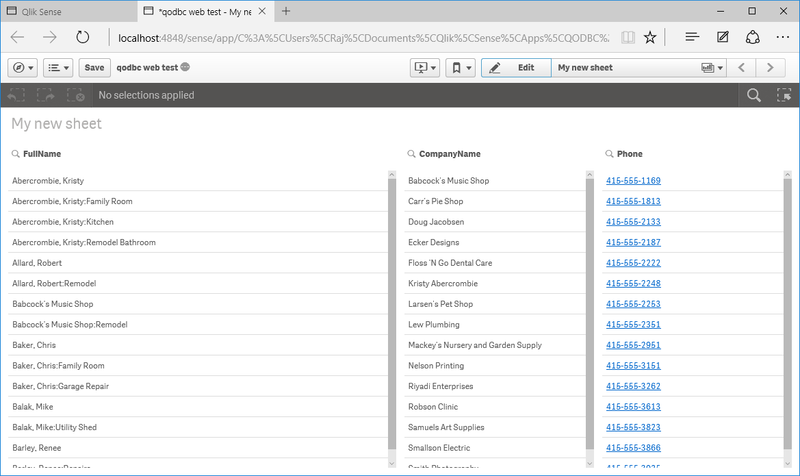 In this example, I have added Customer table's FullName, CompanyName, Phone field on the sheet. Please click on "Done" button for finish editing in the sheet. 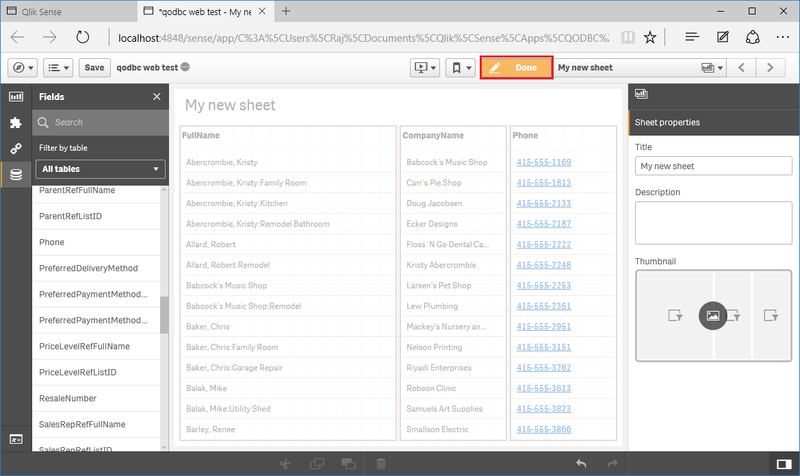 QlikSense Desktop displaying data on the sheet.